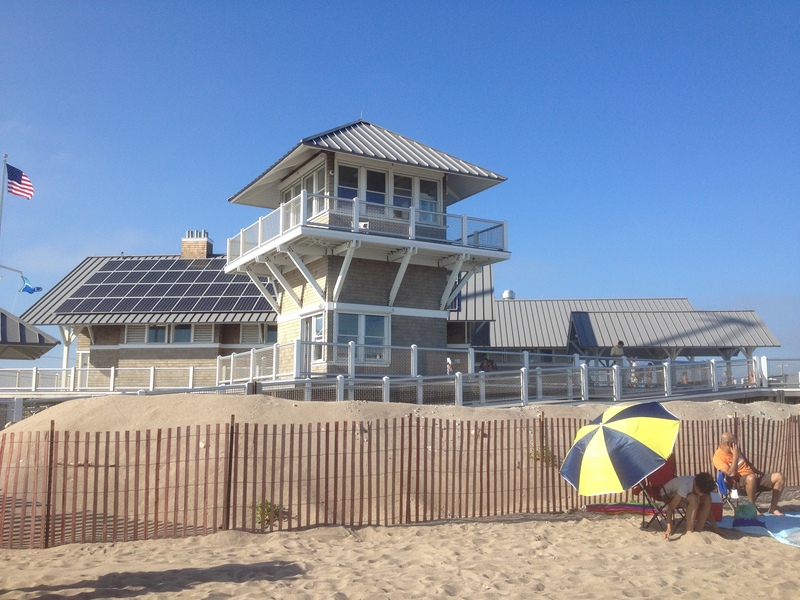 East Matunuck State Beach - South Kingstown, RI - Take a day trip! 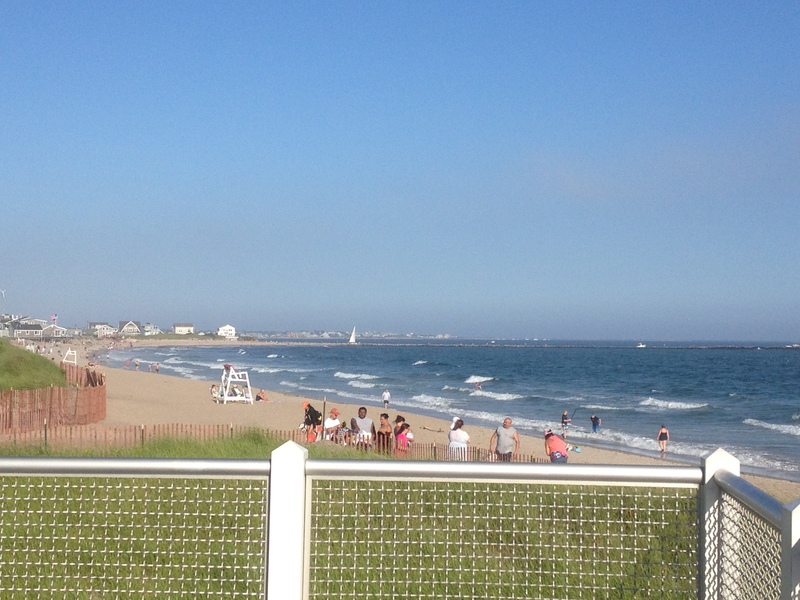 East Matunuck State Beach is a lovely beach in South Kingstown with full facilities that is an ideal place to spend a hot summer afternoon. 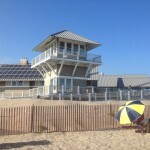 The beach facilities were recently rebuilt and reopened for the summer 2012 season. This park features just over 100 acres of beachfront property and lovely soft sand with relatively modest waves for the South Coast of Rhode Island. available for visitors in busy season. There are outdoor showers, bathrooms, indoor showers (bring quarters) and changing areas, a snack bar and lifeguards on duty. A fee is charged for parking in the summer season and goes all the way up to $28 if you come in an non-Rhode Island vehicle on a weekend or holiday. Parking fees are collected from 9 AM to 6 PM. Several places a few minutes back up the road also offer parking if you want to walk to the beach for significantly less. Dogs are not allowed on the beach from mid-April to mid-October and alcohol is prohibited as well. For more information, including updated parking fees, visit the park website or give them a call at (401)789-8585 (in-season only). Beach Entrance from Sucotash Road. 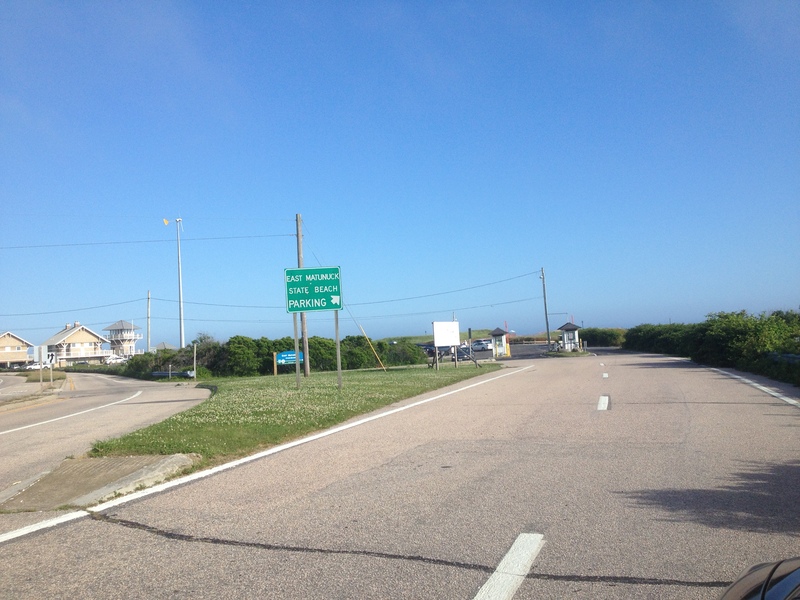 signs to point you towards East Matunuck State Beach from Route 1. Coming from the North take the exit for Rhode Island Route 4 and that will take you to Route 1. 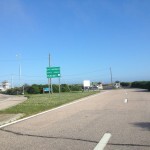 Coming from the South on I-95 take exit 3A for Route 138 East towards Newport and then take Route 112 South to Route 1 North.